Too often, when different parts of the same machine act independently, the result is disjuncture and inefficiency. Such is the case with student recruitment and admissions…two arms of the college or university that are both geared toward increasing enrollment. When these departments act out of sync, you lose potential students, income and the possibility of enhancing your institution’s reputation. However, when they work together, the result is a streamlined admissions and enrollment process that paves the way for a positive student experience from first touch to the final flourish of that diploma. Declining enrollments: The number of new students headed to college is dipping, by 1 percent overall as of Fall 2017. This is largely due to adult students over 24, whose enrollment dropped more than 13 percent. This is most likely because they have entered the work force. 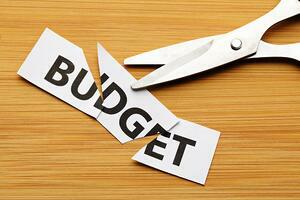 Declining budget: With fewer students comes a tighter budget. In fact, more than two thirds of private colleges and half of public institutions failed to meet enrollment/revenue targets in 2016. Increased competition: Declining student applications and reduced budget leads pretty obviously to another unpleasant reality of recruitment and admissions: fiercer competition. Stressed and frazzled admissions staff: Dealing with these factors is stressful and overwhelming for admissions professionals, and the budget cuts mean there are fewer of them to do it. Increased recruitment and outreach, and therefore getting more students into the system, are the only way to combat these challenges and improve this downward trend. If Generation Y is the “Me” Generation, then Generation Z is the “Talk to Me” Generation. Today’s crop of incoming students wants constant communication on mediums that follow them wherever they go. Think texting, social media and other forms of personal contact. It’s especially important for recruitment and admissions staff to increase these skills, given the youthful disenchantment with email and the changes in expected modes of communication. Let’s not forget, though, that personal contact is still one of the most valuable forms of reaching out. Gen Z, like all young people in their turn, want guidance from their elders. Choosing a college or university is exciting, but it’s also scary. They fear making the wrong choice, getting into debt, getting suckered or compromising their future. This is where positive in-person interaction comes in. Think career fairs, call campaigns, meals with alumni and campus tours. It's not enough simply to reach out via those channels however. You also have to track your efforts and touches so you can best personalize each student’s experience. Of course, planning campaigns and events, reaching out to students and keeping track of all those endeavors requires a good system. It’s important that admissions staff continue interaction and assistance efforts until students start school (and sometimes even after). Unfortunately, that task grows ever more challenging with the increasing number of applications pouring into colleges and universities. Yes, even though fewer students are actually entering school, they send out more paper and electronic applications than ever before. The result? Admissions departments have to focus more effort and energy on managing recruitment, applications and enrollment, but do it on a tighter budget and with less staff on board. And, that can prove to be a major challenge. Additionally, students may change their enrollment at any time up to the point that the first financial aid installment is delivered to the school. 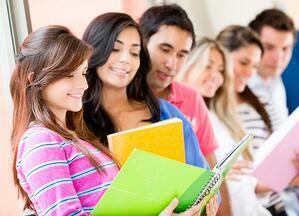 In fact, they can even switch to another school mid-year, losing you valuable income. While students often have other reasons, disaffection is certainly among them. If they don’t feel their college cares about them, they may leave. That makes it critical that admissions staff keep in contact until the first day of school, give them the guidance they need and help them integrate into the university. But that, in turn, means you need a system that will help you understand each student’s needs and juggle these tasks with limited resources. The best of intentions cannot overcome a poor system. No matter how carefully your admissions and recruitment arms prepare for student fairs, campus visits and application processing, you just won’t get that far if you’re inundated with antiquated processes, physical files and stacks of loose paperwork. Nope. It’s time to step fully into the 21st century and embrace the future. Scratch that…It is imperative, considering that many of your competitors are already using intelligent software applications to manage their recruitment and admissions efforts. As it becomes more and more challenging for colleges and universities to meet their enrollment numbers, those that understand the importance of having an integrated software system will be most likely to succeed. But, it must be software that tracks recruitment and admissions efforts and integrates all departments to share information so that they can deliver the most personalized experience for their prospects.